The dogs seem so happy and perky. They made me smile. Not all pics evoke an instant physical reaction like that. Good one. The dogs belonged to the owner who lived behind the shop! Could I rename this as the pommeranian club!? 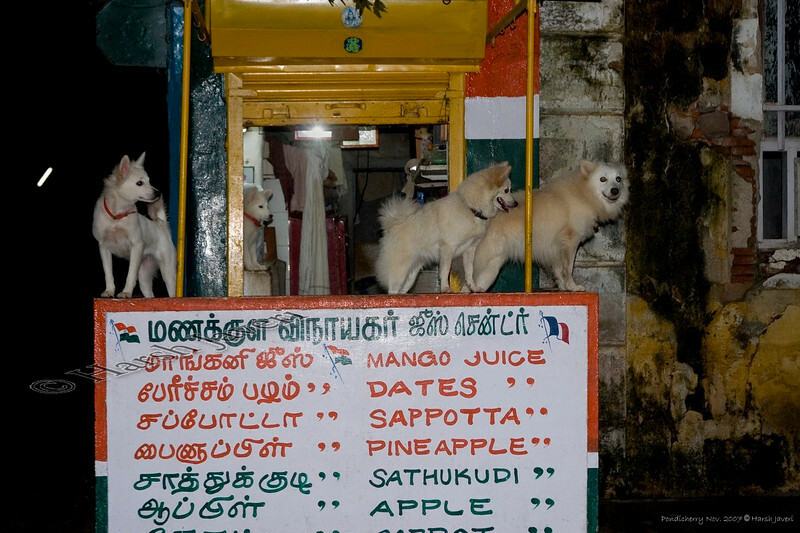 Am aware about "dog houses"...but a dog juice house is a new one on me...cheers! Amusing! Wonder which customer dared to go near!! I agree, this is a very interesting shot!